iPhone users won’t face problem anymore in playing videos in any formats: MKV, AAC, FLV etc on their iPhone. 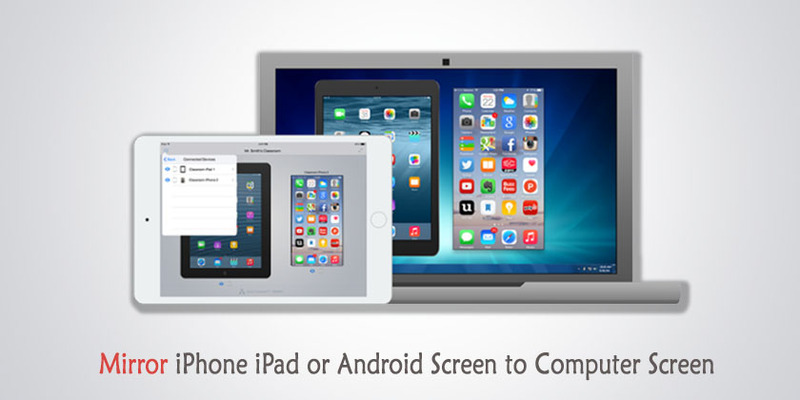 VideoProc has made it so convenient for you. It integrates UHD video converter/compressor, (YouTube) video downloader with a video editor, giving you ultimate control over any multi-track, SD, HD and 4K video files on your PC. With Level-3 Hardware Acceleration tech, it makes the utmost of Intel QSV, NVIDIA CUDA/NVENC, and AMD to encode and decode videos, which can averagely speed up video processing 64x faster than real time! 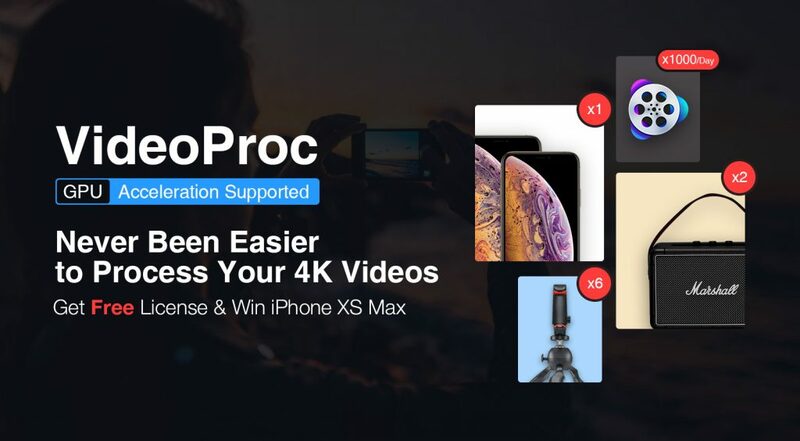 VideoProc is skilled at editing oversized videos recorded from GoPro, DJI, 4K cameras for stabilizing, denoising, cutting, filtering, splitting, merging and subtitling. In parallel, it is a video converter and compressor whiz that helps transcode HEVC / H.264 videos, convert any videos, audios, and DVDs, such as MKV to MP4, M4A to MP3, and DVD to MP4, and make such media content playable on large TV screens or portable devices: Apple or Android devices. Besides, it is one part video audio downloader and one part screen/webcam video recorder. Because of WinX-built level-3 hardware acceleration, Video Audio Passthrough (Auto Copy), Hyper-threading and AMD 3DNow! Tech, VideoProc has defeated the absolute majority of competitors for over 64x real-time fast speed, stutter-free video conversion, and minimum CPU usage / temperature control. Besides, the exclusive video processing delivers over 90% compression ratio for resizing large video footage smoothly. VideoProc enfolds nearly all types of videos, audios and DVDs, ranging from ISO images, HEVC, H.264, MPEG-4, AVI, MKV, MOV, M2TS, MOD camcorder videos to 1080p multi-track HD videos and 4K @60fps videos from GoPro, DJI, DSLRs, Blu-ray, Apple iPhone X and Android smartphones. Both mainstream and niche videos can be converted, edited and adjusted at one go for easier playback and sharing. Not all videos can be accepted by all of your media players and devices. 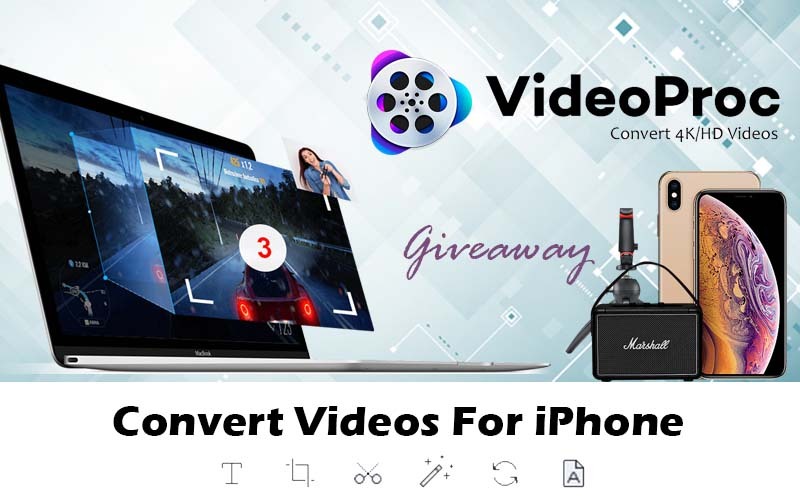 Besides converting between video formats like multi-track MKV to MP4, this HD video converter for Windows (10) can make any incompatible videos friendly with SNS, game consoles, HDTV and portable players to share them to YouTube, Vlog, or enjoy on iPhone, iPad, Xbox, PSP, Android tablets, smartphones, etc. Strongest desktop video editor: It allows you to cut, split, crop, rotate, flip, subtitle, merge video clips, mix multiple video audio subtitle tracks to an MKV, add watermark, apply off-the-shelf filters and adjust video color effects such as image brightness, contrast, hue, gamma and saturation. Better still, you can remove or lessen shakiness and noise in GoPro videos, fix fisheye distortion, make GIFs, take snapshots, transform 3D video to 2D or convert video to M3U8 at one click. The embedded High Quality Engine, “Yadif Double Frames” De-interlacing Engine and Auto Copy tech can optimize image quality dynamically, reduce noise and adjust definition to make the output video clearer. Thanks to cutting-edge GPU acceleration and video compression algorithm, the file size of a video with high resolution and bitrate can be reduced largely without compromise in quality at all. With advanced Video Download Engine, it enables you to download any sharp 1080p/4K video (also playlist or channel) and 5.1 surround audio from YouTube, Yahoo, Facebook, DailyMotion, Vimeo, Vevo, SoundCloud etc. over 1000 UGC sites in about 20 sec. You can preset time to record live videos, search subtitles online, add videos to Watch Later Playlist for batch download, etc. Record videos from screen or webcam in standard or full HD 1080p quality in MP4, FLV, MOV, TS formats. You can download videos from YouTube or 1000+ sites with VideoProc easily and conveniently. Convert any types of DVD to video and watch it on your iPhone without any problem. VideoProc is the best software we strongly recommend for iPhone users especially. Download the software and get rid of common errors with 4k/HD videos playing and sharing on iPhone. In addition, VideoProc offers a chance of winning the grand prizes like iPhone XS Max x1, Marshall Kilburn II x2 and PIXI Plus Mini Tripod Kit x6. Hence sign up now here before Feb 20, 2019 by entering your email address to earn one entry of the iPhone XS Max sweepstakes and receive the VidoeProc license too. Watch the following video and know more about VideoProc features and pros.